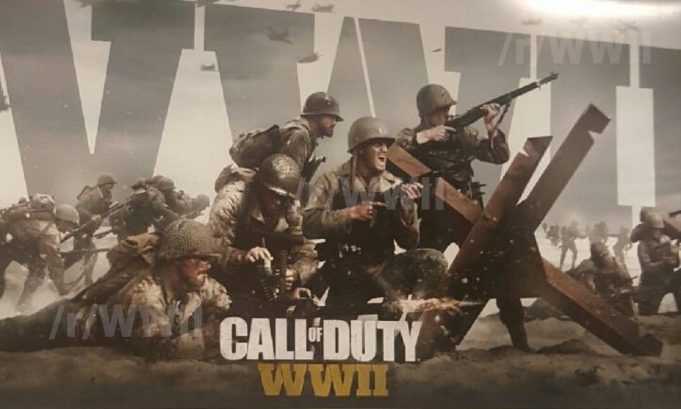 Activision confirmed that Call of Duty is back for World War II game, with several images of the game being leaked out. There will p[probably be a livestream view of the game very soon, which is a sort of trailer. The game is supposed to have a co-op campaign running its own storyline, which is something new. There is not much news regarding Call of Duty. The name of the game series and the developer are known, but there is no news regarding the shooter. However, all this will soon change, as Call of Duty WWII will soon be officially revealed through livestreams on the 26th of April 1PM ET or 10 AM PT. Activision claims that the Call of Duty WWII will be shown as a livestream on the 26th of April. Michael Condrey as well as Glen Schofield, who are the founders and the studio heads will also be featured in the livestream. Both of them had earlier assisted Visceral Games, creating Dead Space, a science fiction horror game. World War II is a military shooting game series. There were rumors that the military shooting game WWII is bringing in a new title for the second world war, with a new setting. Call of Duty WWII has been created by Sledgehammer Games and this series follows the earlier one Infinite Warfare. Sledgehammer Games is a subsidiary of Activision and it is well known for the series Call of Duty Advanced Warfare of 2014. This one had Kevin Spacey in it and it offered a futuristic version of the mercenary character in House of Cards. Sledgehammer Games seems to be sticking to that which works, as the new storyline is rooted in World War II. Call of Duty has been connected with the Second World War from a long time. The franchise of the game first began in the year 2003 and all the four titles of the game series had a single setting. The three studios working on the franchise are Treyarch along with Infinity Ward as well as Sledgehammer. Each of these has different entries and staggers the release dates. There is a shift back to a past time in Call of Duty World War II, which is probably because of the science fiction settings of the recent game, Infinite Warfare, which was a far futuristic one. According to Eric Hirshberg, the CEO of Activision, Infinite Warfare offered several innovations in the gameplay, but the setting was not appealing to all fans. Call of Duty initially showed World War II when it debuted in the year 2003 and the following two installments remained in that period. With Modern Warfare in 2007, Call of Duty moved away from that period and then revisited it for a short time in World at War in 2008 made by Pacific Theater. The series has continued to move forward all this time during the last decade. Last year, it culminated in Infinite Warfare in science fiction solar system scenario. However, WWII is bringing back the series and the players back to the Earth this time.